In Los Angeles we are pretty happy with our Android phones, iPhones, and other smart handheld devices. We can buy EVDO card for our laptops, and now 4G cards are starting to POP up in some locations. In Jakarta people laugh at such nonsense. With high speed wireless infrastructure covering over 95% of the addressable Indonesian population, the country has leap-frogged not only America, but also much of Asia in delivering high speed wireless service. 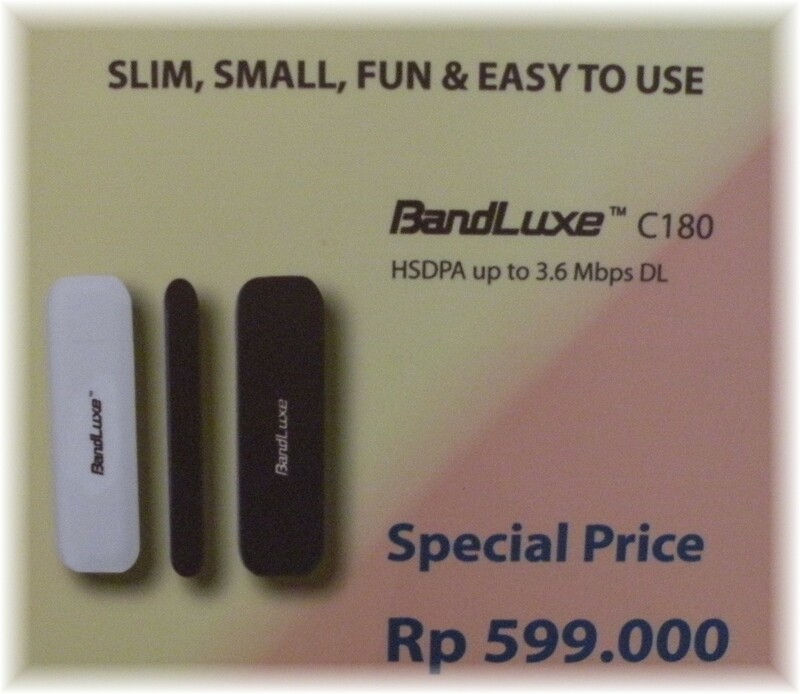 If you take a walk through Jakarta’s Mall Ambassador you are presented with a dizzying array of high speed wireless access options for both smart phones and USB flash modems – and oh yes, even EVDO if that is what you really want. So you select your option, is it HSPDA? HSPA? HSPA+? 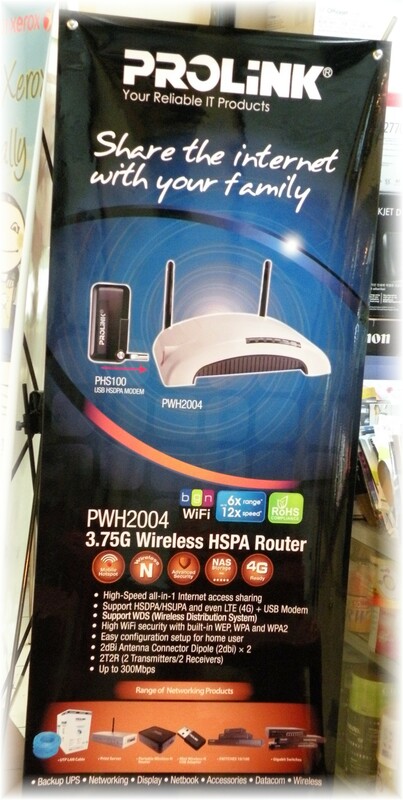 In Jakarta you can easily buy HSPA+ flash modems and base stations that actually deliver between 21~42Mbps to an end user device. While the highest speeds may not be affordable to the masses, nearly all smartphones and base stations are more than adequate for web browsing and streaming media. In fact, Indonesia has the largest number of mobile FaceBook users in the world, and that number continues to grow at an astonishing rate, as more Indonesians invest in internet-enabled devices as a tool for their future. But let’s go beyond the city limits of Jakarta, and look at what this means to other rural and remote parts of the country. If 95% of the population is covered by wireless antennas, and all of those antennas are capable of supporting at least some level of Internet access, then the need for laying copper cable to end users in remote locations becomes less important. An HSPDA base station that connects to a 7.2Mbps data stream can easily connect a LAN of dumb terminals (NetBooks) to a school in remote parts of Sumatra or Papua. eLearning, including remote transmission of lectures, lessons, podcasts, or other means of delivering knowledge becomes possible, giving a level academic playing field to anybody in the country. City offices, commercial businesses, and even individual homes can connect to the HSPDA signal, allowing Internet access with the same or better performance many users experience with cable modems or organizational LANs connecting to a local ISP or carrier. Add a bit of cloud computing offering a suite of hosted SaaS applications and secure storage in a data center available to users throughout the country, and we have the beginnings of national access to the 4th Utility (marriage of broadband access and cloud computing resources) in Indonesia. But probably the most interesting, and useful example of delivering Internet access to those who need it most is the WarNet. 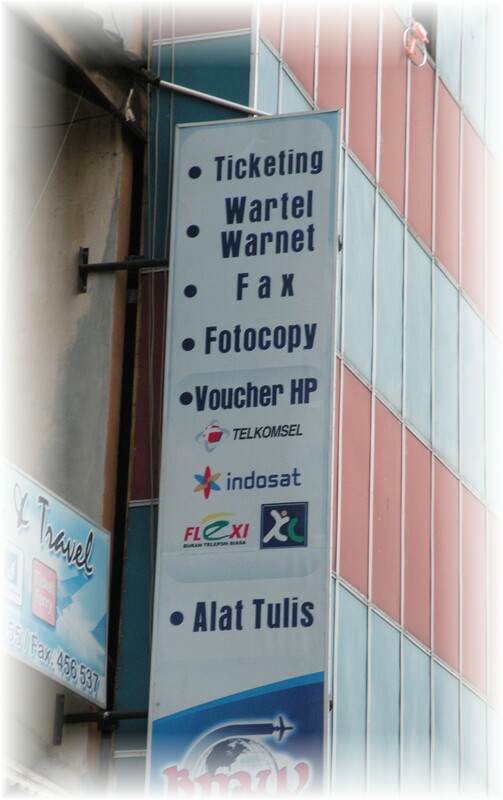 The Warnet is the Indonesian version of an Internet Café. In many rural communities and urban inner-city areas people do not have the money to afford buying their own computer, or do not have the ability to connect to the Internet from their homes or offices. The WarNet may connect a small Internet Kiosk to wireless Internet in a remote location, offer some basic printing services, and that kiosk becomes a social, educational, business, and entertainment hub for small communities. Schools could follow the same model as WarNets, connecting to broadband wireless through a local base station and extending an access LAN to student workstations and terminals. Again, with eLearning those terminals can be dumb, with the applications and student working storage on a data center hosted platform. High speed broadband wireless is effectively bringing the Internet to nearly all Indonesians. Now the effort needs to be making access devices more affordable and more available, as well as producing high quality content and content delivery into the wireless networks. As most of the wireless networks are still not exceeding ~30% of their transmission capacity at peak, there is ample room for growth. Backbone fiber networks owned by the wireless carriers and wholesale providers will continue to expand, enhancing the wireless operator’s ability to increase their capacity to meet the potential of future wireless technologies such as LTE and 4G. And Indonesians will continue to approach the Internet’s technical edge. Jakarta is a city of cafes, coffee shops, and mobile phones. With a mobile penetration hitting nearly 62% of the population, the world’s 4th most populace nation represents a huge market, and tremendous infrastructure challenges. With more than 50% of the country making less than $50/month, the percentage of people with access to mobile phones and the Internet is astonishing. This is very apparent when driving through villages that are well under the poverty line, such as you will drive through on the way from Balikpapan to Samarinda (in Eastern Borneo, East Kalimantan Province). A large percentage of the “homes” you pass would not have a prayer to hold water out of the “house” during a heavy rainstorm, but you will see many, if not most, of the residents carrying a mobile phone. Most of the mobile phones are pre-paid, meaning of course the user pays up front for the handset and phone minutes, however even the poorest people have access to handsets. 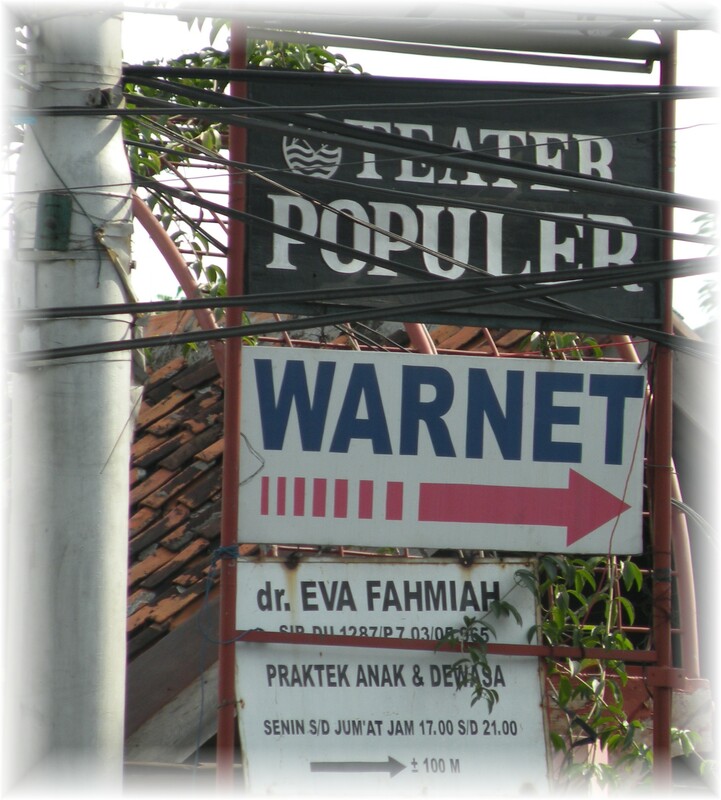 The next interesting item is the ubiquitous “WarNet.” WarNet is actually a combination of two words, Warung (Café) and Internet. While not as available as mobile phones, nearly every village has one or two WarNet rooms, which (from my observation) have most of the available terminal stations filled with users. As a large percentage of the population lacks disposable income needed to purchase their own computer, or Internet access, the WarNet is the only place young people (and older folk) are able to access and take advantage of either computers or network-enabled communications. Strolling the streets of Samarinda after 2200, in an entirely unscientific poll, I was able to count about 2 WarNets per city block in the downtown area. A similar stroll earlier in Batam (a free port near Singapore) yielded similar results, with Jakarta only slightly less, probably due to the fact my unscientific strolling poll was confined to a relatively opulent area with more WiFi hotspots available at coffee shops such as Starbucks and the Coffee Bean and Tea Leaf, with patrons carrying their own laptop computers. This did drop the number of WarNets to a scarce one per city block when you are off the main roads. While the Korean Internet Café experience of the 1990s was fueled by insatiable demands for higher performance multi-user gaming networks, the Indonesian experience appears to be much more broad in scope. According to Mr. Ibenk, an official with the Indonesian Government’s Kominfo (national ICT organizer), WarNet’s serve the community by providing both exposure and low cost access to the Internet for students, business people, as well as access to social media and entertainment. “Access to a WarNet costs users less than 3000 Rp (Indonesian Rupiah, around $.35) per hour. While still a reasonably high cost to a poor user, nearly everybody can afford at least a couple hours per week to access the network” added Ibenk. WarNets are used by students, professionals, and from my observation a lot of foreign tourists trekking through both Jakarta and other more remote locations. Students spend a lot of time on the Internet, and it appears schools encourage use of WarNets for some students to access research, write reports (most WarNets also have sideline services such as printing, copying, and faxing), and as one student told me, they are now even submitting some homework assignments through the Internet. You may question why this would be necessary, and the answer is simple – most schools in poor sections of Jakarta and most rural areas do not have sufficient budget to build ICT within their school or curriculum. However both students and teachers know that for a child to be competitive in the new wired world, they need exposure to Internet technologies to gain skills critical to their future success in a global economy. Not sure if that is entirely true, however most of the WarNet’s I visited during the past 10 days in Indonesia appeared to be meeting the objectives noted above. Just a lot of people chatting, researching, doing email, or using word processing programs (including Google Docs and MS Live Office). Cloud computing, whether the users know it or not, has actually made a very positive contribution to the community by providing applications and online storage that would not have been available just a couple years ago. A report by Rudi Rusdiah, from APWKomtel, claims WarNet’s account for more than 40% of all Internet access in Indonesia. I’d believe that number is actually higher, given the number of WarNets I observed in rural areas throughout Java, Sumatra, and Kalimantan. Providing tourists, travelers and commuters with Internet access. In a world where many governments struggle with bringing broadband Internet to every home as a public utility, developing nations need to exercise great creativity in delivering “any” internet access to the community. The WarNet provides that utility, and the creativity of Indonesians to find ways to deliver Internet to nearly every community in the country through use of satellite, microwave, mobile phones, DSL, and telephone access should be applauded. Not the final solution, but with the world’s fourth most populace nation getting wired, we will expect a lot of new ideas from a lot of motivated Indonesians in the near future.